In Mexico, President Enrique Peña Nieto is facing allegations of plagiarism in his law school thesis with one reporter saying that nearly 29% of his 200-page thesis was plagiarized from other sources. The allegations come from local journalist Carmen Aristegui. Aristegui posted on her site saying that 197 of 682 paragraphs of President Peña Nieto’s 1991 law thesis were copied from other authors but that the text involved was not put into quotations and, in some cases, the authors were not mentioned in the bibliography. This isn’t the first time that Aristegui and her research team have clashed with President Peña Nieto. In 2014, they uncovered evidence that President Peña Nieto’s wife purchased a $7 million house from a government contractor, which sparked an integrity scandal. Freelance food critic Elliott Shaffner has been fired both from both the Richmond Times-Dispatch and Style Weekly and has had her articles removed from both publications. This follows allegations that she used uncited language from another reviewer in her articles. Shortly after Melania Trump, the wife of Republican Presidential Candidate Donald Trump finished her speech at the Republication National Convention, she began to face allegations of plagiarism. Specifically, there were allegations that her speech borrowed several passages from a similar 2008 speech by Michelle Obama at the Democratic National Convention. In addition to several dozen copied words, two paragraphs closely mirrored one another in theme, structure and ideas. Blockchain, a technology most commonly associated with the cryptocurrency Bitcoin, is a distributed database that’s designed to preserve the integrity over the overall database despite it being publicly available. The idea is that, as items are added to the database, they are added as blocks to the chain (hence the name) and then are encrypted and distributed to the entire network so they can be read but not altered as any tampering would break the chain. On February 11, the InterAcademy Partnership (IAP) released its new guide on research ethics called “Doing Global Science: A Guide to Responsible Conduct in the Global Research Enterprise”. Doing Global Science aims to help researchers from across the globe avoid ethical issues that could limit the reach of their research. The guide covers every part of the research process starting with the planning and preparing phase all the way to communicating the outcome with the public. Along the way, it discusses falsification, plagiarism and even informed consent in research projects. Donald Trump has become one of the most polarizing figures in American politics. Constantly beset by controversy, Trump’s colorful past has become the source of a great deal of scrutiny by both his opponents and his supporters. However, little of Trump’s enterprises have generated more controversy than Trump University. The non-accredited school has been the subject of several lawsuits with many students saying that the school took their money but failed to live up to promises that were made. Back in January, we took a look at the issue of fake PhDs in Russia and the struggle that was faced by academics in the country trying to address the problem. The news was not good. An anti-plagiarism group named Dissernet had exposed over 3,500 falsified theses, over five per day since it began work, and the new cases were still coming. Thesis plagiarism, it seemed, was just too well-entrenched into the Russian political process and it would be honest academics and students in the country who would pay the biggest price. Last year, we took a look at a lawsuit that was filed by publisher Elsevier against several sites, the most prominent of which were Library Genesis and Sci-Hub. Both Library Genesis and Sci-Hub make paywalled research papers available for free to users both through direct download of already-accessed works through EDU proxies that allow them to download any paper not in their library. In July 2014, Owen Roberts was appointed the Superintendent of Alachua County Public Schools. The Florida school district, which includes Gainesville, is responsible for about 28,000 students and operates 41 schools. However, the same month he received his appointment, Roberts self-published a book entitled A Framework for Improving School Systems in the 21st Century. Over the past year and a half, he’s not only proudly sold the book online, both digitally and in print, but he has given out copies to others, including Florida Governor Rick Scott. Do Famous Authors Get Special Treatment? 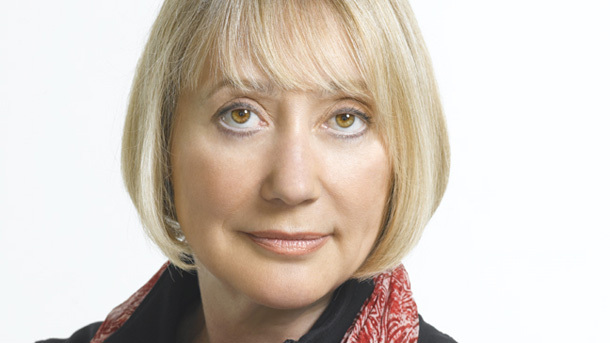 Though not well known in the United States, Margaret Wente is a prominent conservative columnist in Canada. Her regular column with The Globe and Mail has been a fixture at the paper since 1992 and she also makes regular TV and radio appearances.